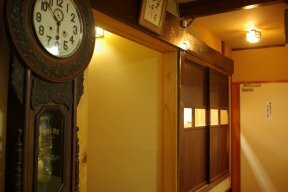 [Business] Only daytrip no stay,until further notice. 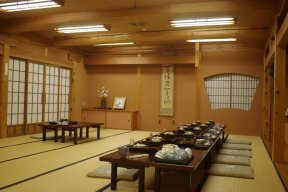 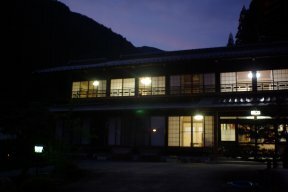 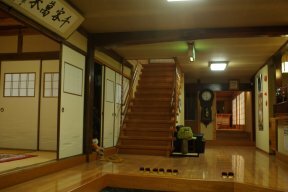 They are inns which feel relieved involuntarily, such as a tatami with which the tough of the beam and the Log of MUKU which shine red the building at the time of when it is, and the passage of the second floor guest room part were covered, and an emotive enough guest room.The isolated lodge of the wooden traditional architecture of packing a valley and being based on an enough and the carpenter of Hida at the very back.It is soaked in the bathtub which plotted a wooden scentful of a podocarp, looks at the bath structure hut part which piled up the beam, and is at the calm one time.And he was surprised and having been impressed had a structure of a carp, and 2 pieces of bodies of a beautiful thick slice in which ... and a pellicle remain since it had not imagined that the fish with head and tail of a carp came out by no means for one person, either stuffed at a time into one's mouth.although a bone gets red-spotted trout frying without coating the whole circle flatly softly compared with char and its propagule boiled rice of a bundle itself is delicious -- matsutake food cooked in an earthen teapot and an egg -- the tight having a child sweetfish is attached, and also it was impressed.It is volume uncanny from the next, such as time-tested Hida-gyu-meat Ho-leaf miso, to the next otherwise.A prepared which there is a hill at the back, and the river values the nature of the country of enough ancient times, and returned to the country, or the inn which is keeping the warm dish in mind with the reception in addition.It is an inn of the very passage. 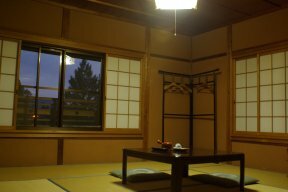 The second floor part becomes a guest room. 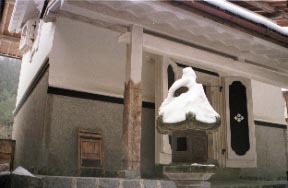 It is an enough warehouse to a courtyard. 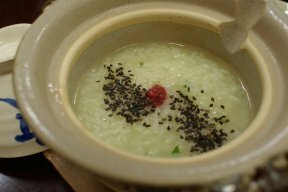 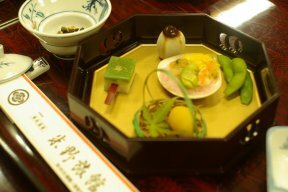 The hot spring rice gruel of breakfast is a taste of the tradition which won reputation 200 years ago when it seemed to be the tochigayu. 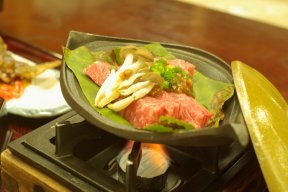 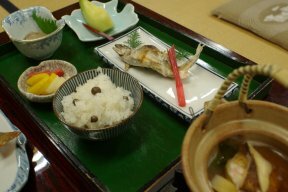 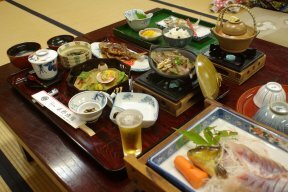 A river fish red-spotted trout, carp fish with head and tail, and dish of wild plants It is a sweetfish dish grilled with salt to propagule boiled rice in Ho-leaf bean paste baking of a Hida-gyu meat and autumn. 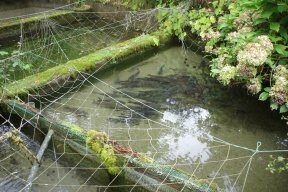 Red-spotted trout It gets quickly softly. 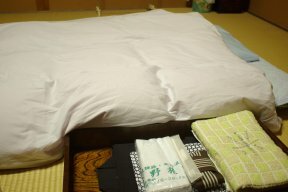 If it is a weekday, it is 10650 yen, and it is this volume! 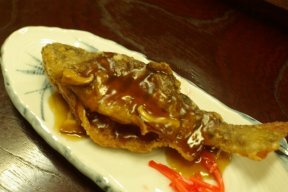 A carp dish is an another dish of the pride raised in the pond. 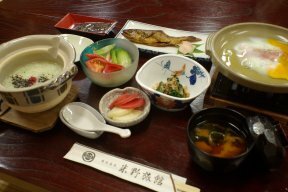 \9,450-\15,750 a dish -- measure. 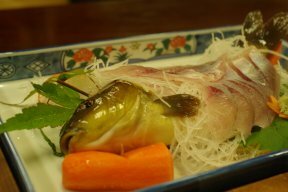 It is wrapped in a wooden scent and is a bath tab of a calm maki. 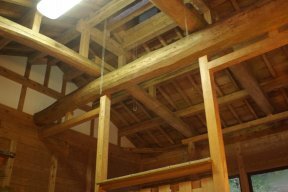 Bath structure of the hinoki by Mr. Daiku of Hida. 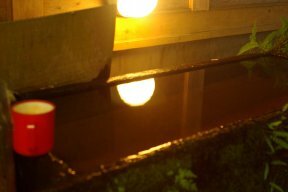 The fountainhead where the red mineral-rich sediment has precipitated. 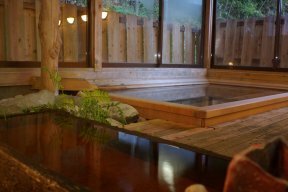 Stone bath and a hinoki bath can get in and obtain by time shift operations for 24 hours. 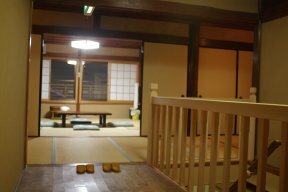 The location of TBS "Tuesday suspense theater" may be performed and there was also a scene of stone bath. 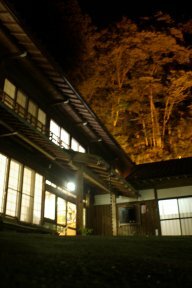 more than 20 persons -- Gifu and adjacent prefectures -- please consult.